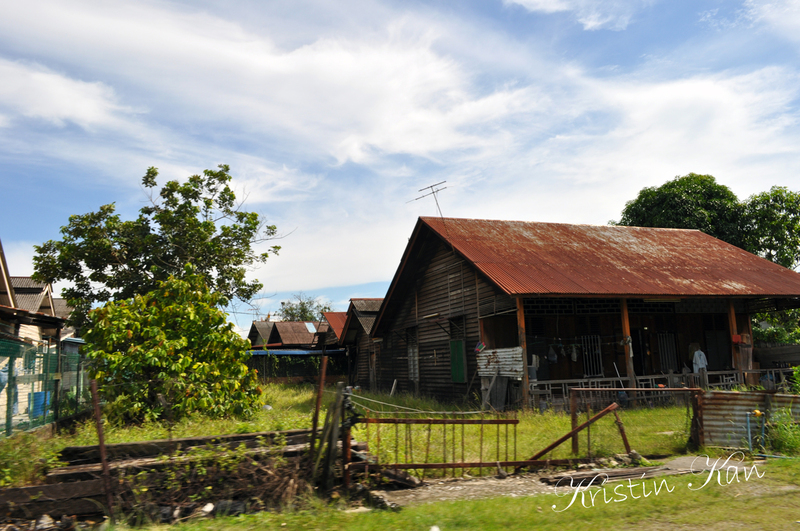 This is a photo taken at Pandamaran New Village also known as Kampung Baru Pandamaran in Malay, Klang, Selangor from the car window while travelling recently. The skies were brilliant. It was a bright sunny day and hot weather! Pandamaran New Village is an emerging township which is also the second largest as well as the second oldest Chinese new village in Malaysia. The origin of the name Pandamaran is closely related to a tropical tree known as Damar. This tree is geographically located in many regions of South East Asia. Its bark yields an unusual clear, pale, yellow damar resins principally used in paints and varnishes. Pandamaran’s original name was Pendamaran. It carries with it the meaning of a place where Damar tree can be found. This proves that this place was rich in the production of damar resin. Pandamaran's history traces back to year 1950. The village was built after the Malayan Emergency situation. The British colony needed to destroy the communism influence and thus had gathered all the Chinese residents mostly from Kuala Langat and Kuala Selangor. The purpose of this was to keep the inhabitants in and the guerrillas out. The village was surrounded by barbed wire back in the 50s. There were two checkpoints at the where both gates, were opened 6 am and closes at 6 pm. Today, Pandamaran New Village is served by excellent road connections. There's even a 3-star hotel, sports complex, hockey stadium, and public swimming pool. The distance from other city and township such as Kuala Lumpur is 30 km while the distance from Klang town is 2 km. Beautiful place. Nice place to relax. Interesting history of village. The roof tops look nice against the sky. I like the way you make this old village look so beautiful under the lovely blue skies. do people still live in these houses? Nice neighbourhood although it was a bit notorious those days. Hi there, I'm traveling around on a Skywatch Friday tour, and have found your lovely blog. thanks for taking me to such a beautiful exotic place via your camera lens. beautiful photo!